Since 2000, Bronx Community District 3, of which Crotona Park East is a part, is NYC’s fastest growing neighborhood outside of Manhattan. Retail tenanting in our neighborhood has not kept pace with population growth, and the local retail mix could benefit from more density and diversity! 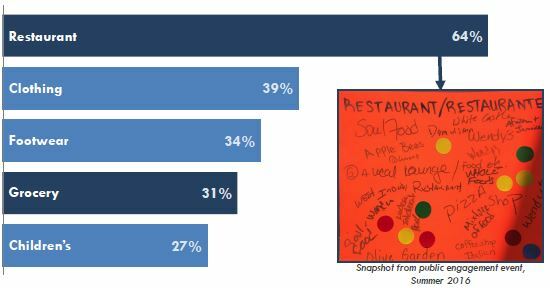 Local shoppers surveyed cite a significant need for new dining options, including sit-down restaurants and international cuisine. Shoppers are attracted to the Southern Boulevard area by price, variety and quality. Demographic trends support increased investment in neighborhood-serving retail, including a focus on uses that appeal to families, youth and local cultures. Consumer demand analysis supports shoppers’ desire for more destination uses. Data suggests that there is $168.5 Million in unmet retail demand within the one-mile area of Southern Boulevard. 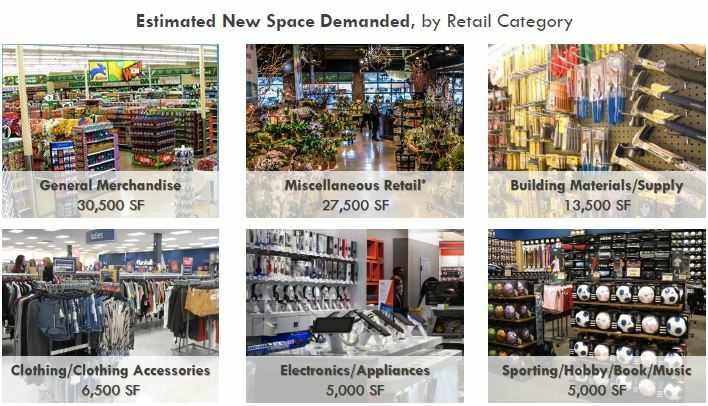 Overall, unmet local demand could support roughly 100,000 SF of new retail, including clothing, general merchandise and other destination uses. Local shoppers have echoed this gap in recent surveys, citing unmet demand for higher-quality dining and destination* retail options.